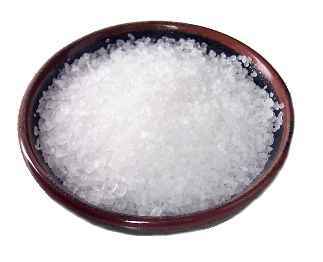 I recently had a friend ask me for recommendation on lowering her salt intake. I figured this would be a good topic to touch base on. Excessive use of salt has been linked to high blood pressure, insomnia, and it can affect your joints if you have arthritis or osteoporosis, along with other health conditions. 1 – Eat fresh veggies. Avoid canned veggies. When possible, eat seasonally. For example, in the summer eat lots of leafy greens. In the fall, eat more root vegetables. Canned veggies are okay in moderation, but a lot of times they are loaded with sodium. 2 – Avoid pre-packaged seasonings. This includes dressing packets, taco seasoning, etc. In one serving of commercial taco seasoning, it contains more than 2x the recommended amount of sodium you should have per day according to the USDA. 3 – Eat whole, natural foods. The more you cook at home, the more you can limit exactly what goes into your foods. Eating a diet rich in lean proteins, fruits, and vegetables, make it easier to ensure your sodium intake is low. 4 – Experiment with spices. Try using spices like cumin, paprika, or thyme. Always try a bite of your food before adding salt onto it. It may not need it at all. 5 – Avoid fast food and restaurants when possible. Fast food is loaded with salt! I used to work at a restaurant that offered a free Happy Hour buffet every Friday. They would add extra salt to all of the items so people would feel more thirsty and drink more, which is where they made most of there money. Sneaky!!! Hope these tips helped! And if there are any topics that you’d specifically like to hear about, leave a comment on this post or email me at sadie@elitehealthcoaching.com. 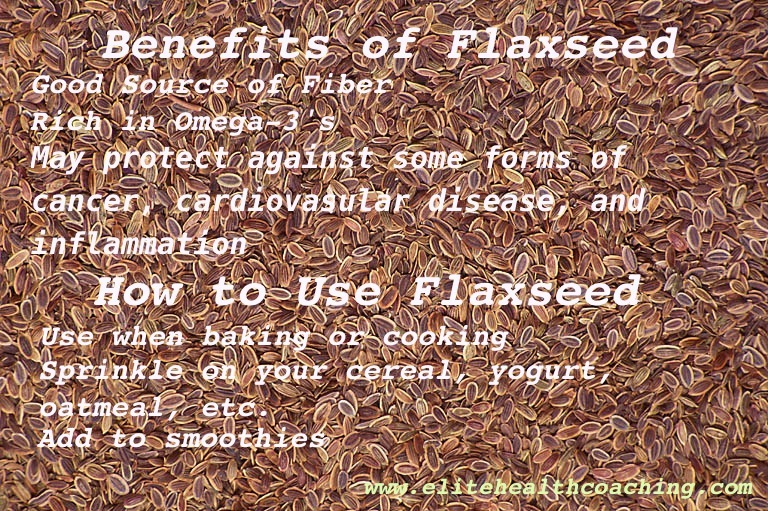 I’ve always heard of the benefits of flaxseed, but was kind of scared to try it. I was worried about the flavor, texture, etc. This past weekend, flaxseed was on sale at my local Whole Foods for $4.99. I figured if it was completely awful, I only wasted $4.99. I’ve been using it for 2 days now, but I really enjoy it. I bought the ground flaxseed, and I’ve been adding 1 TBSP to my yogurt in the morning and another TBSP to my salad at lunch. It adds a great texture and a little bit of a nutty flavor.